STARSkate offers opportunities for skaters of all ages to develop fundamental figure skating skills in the areas of ice dance, skating skills, free skate and interpretive skating. 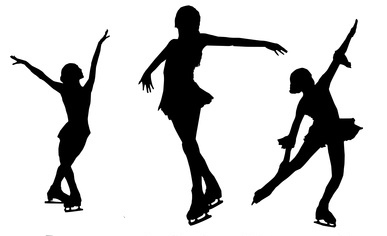 This program teaches figure skating skills in a group and/or private lesson format in a progressive and sequential manner and includes specifically designed awards and incentives. Skaters have the opportunity to take Skate Canada Tests through a nationally standardized testing system. The STARSkate program consists of figure skating skills in four areas – Skating Skills, Ice Dance, Free Skate and Interpretive. Our Club provides private lessons in Free Skate, Skating Skills and Dance with Coach Jen at a rate of $9.25 per lesson (lessons are 15 minutes in length). Skaters are encouraged to take a private or small group lesson in each discipline once a week. Group lessons and ice time for practice are included in the registration fee. STARSkate lessons are Tuesdays from 5:45 – 9:00 p.m. and Fridays from 5:45 – 8:00 p.m. Younger skaters will have their lessons scheduled earlier so they have the option of leaving earlier.